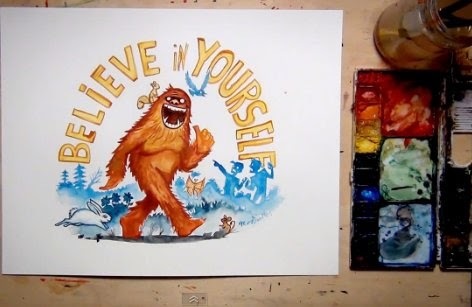 This water color painting of a Bigfoot was done on Bristol board paper. It took the artist about 1 hour and 10 minutes to complete. Enjoy this time-lapse video by Mary Doodles. "Believe in yourself, silly. Bigfoot does!"